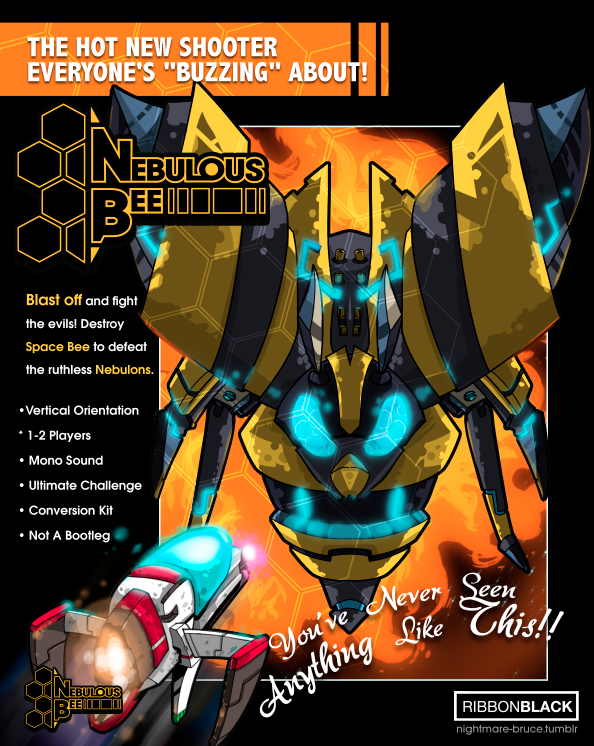 Let's play Nebulous Bee! 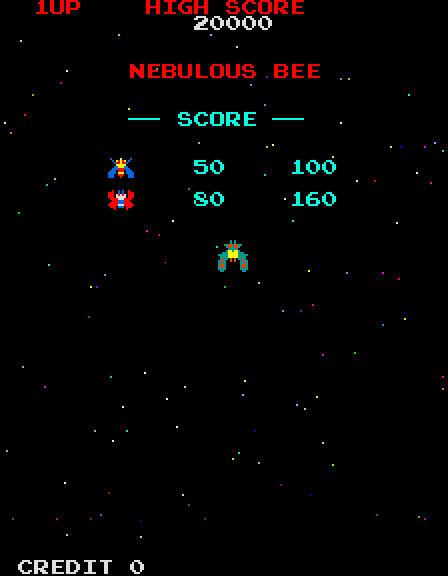 What, you've never played Nebulous Bee? Have you played Galaga? Then you've played Nebulous Bee. Fellow blogger VGJUNK brought the SHAMELESS Galaga bootleg to my attention on Twitter sometime last year--its wonderfully odd name captured my imagination so much that I was sad to see there was no official logo for it. 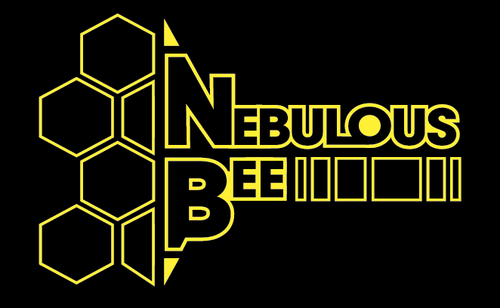 I got a kick out of the idea of putting more effort into Nebulous Bee than the distributors of the game did, so I went ahead and made one. I'm also a sucker for yellow/black color schemes and hexagon motifs. After the logo was finished I wanted to do it one better and make some "official art" for the game. 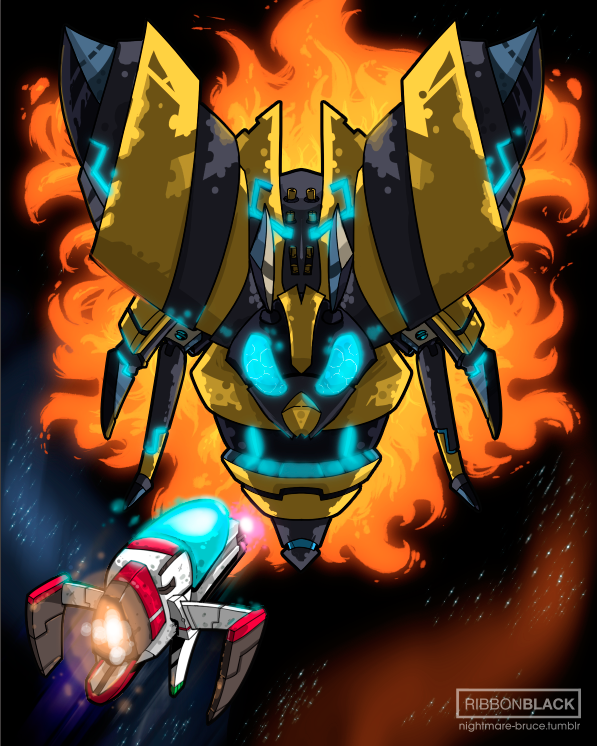 Blast off and fight the evils!